With all the talk about landlords lately I thought it would be good to touch base and talk about tenants for a change. The media is great at conveying what a bad landlord and a bad tenant are but what’s a great tenant? There’s no great mystery on how to be a great tenant. This is an easy one, it pays to clean the property on a regular basis, this will save a lot of extra time and effort to get things up to scratch for those dreaded property inspections. There is also less possibility of irreversible build-up of dirt, scum or mould that can potentially lead to long term damage. Not only will this save you money in the long term, but it will also save you time. Yip, don’t leave it until the next inspection, notify them sooner rather than later, it’s then up to the landlord if they want to deal with the issue immediately or it they want to put it into their maintenance schedule for the future, but you’ll be less likely to be liable for any long term damage if you have told them. Usually most issues are rectified at the landlord’s cost so don’t be afraid to contact them. Treat your neighbours like you’d like to be treated. If you’re having a few drinks invite the neighbours, that way there won’t be any noise complaints if your fun gets a bit loud, then they’ll think you’re a great tenant too! 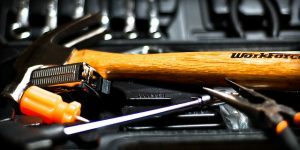 D on’t be afraid to practice your fix-it skills, if there is a basic issue that you can fix, like tightening a screw or putting a nail in where required, give your landlord a call to give them the heads up and if they’re ok with you giving it a go, then go for it. Remember to consider your expertise and the scope of the job first, but if it saves the cost of a repair person, it will save you in the long run. (The landlord will potentially put your rent up to cover all the repairs). It’s great to share your ideas for what could improve the property – for you, future tenants and the owner. You’re the one living in the property so you will know what would help to make it a better place to live – from adding a power point to making the gardens a bit more ‘easy care’. Just keep in mind that landlords are usually topping up the rent you pay to cover the existing property expenses so every improvement that is made has to be paid for some-how… sometimes it will result in an increase in your rent. Keep in touch it there are any issues or problems, by keeping lines of communication open you are far less likely to run into misunderstandings. If you return missed calls and respond to emails promptly you will certainly be in the good books with the landlord. If you’re responsible and keep communicating with your landlord it’s not hard to see how to be a great tenant!